Jury przyznaje, że bardzo trudno było wybrać tylko jednego artystę, któremu przyznana zostanie Nagroda Główna WRO Biennale. W pewnym sensie wybór jednej pracy zaprzecza naszym intuicjom, jako że żyjąc w społeczeństwie pluralistycznym, w każdej chwili doświadczamy niezliczonych informacji i oddziaływań. Jednakże naszym zadaniem było wybrać zwycięzcę, decyzję - choć z trudem - zdołaliśmy wypracować. Kryteria naszego wyboru były równie różnorodne jak nasze indywidualne doświadczenia. Zgodnie stwierdziliśmy jednak, że sednem wybranej pracy powinno być społeczne i polityczne zaangażowanie, świadomość wyzwań dwudziestego pierwszego wieku i jego rozwijających się alternatyw, respekt dla wartości humanistycznych oraz integracja zamysłu w zakresie technologii z konstruowanym przesłaniem. Sine [digital/analog converter] Juliany Borinski (BR/DE) i Pierre-Laurent Cassière (FR); Plot Point Nicolasa Provosta (BE); [The Never Ending] Operetta Istvana Kantora (CA). Nagrodę główną większością głosów przyznajemy pracy: Hopeless Land, Wei Liu (CN). Zwycięska praca jest zdumiewająco prosta formalnie, a zawiera złożony przekaz polityczny, opiera się ponadto na uniwersalnym przekazie nadziei. Nie odwołuje się do postawy artysty jako jednostki odizolowanej od społeczeństwa, raczej wzmaga poczucie, że stanowi on zasadniczy składnik społeczeństwa i w poszerzonym mieście jest za nie odpowiedzialny. The jury would like to acknowledge the difficulty in selecting a single artist for the WRO Biennale Grand Prize. In a sense, it is counterintuitive to select a single piece, we live in a pluralist society with a myriad of influence and information cascading past us every second. But this was our task and with great difficulty we selected a winner. Our criteria for selection was as varied as our individual backgrounds. However, we agreed that the selected work should have at its core political and social involvement, awareness of the twenty first century and its developing alternative modernity, humanistic values, and the seamless integration of technology and meaning. While not grand prize winners, we acknowledge the following works for their innovative use of technology, advanced narrative structure, and deconstructive choreography: Sine [digital/analog converter] by Juliana Borinski (BR/DE) and Pierre-Laurent Cassière (FR); Plot Point by Nicolas Provost (BE); and The Never Ending Operetta by Istvan Kantor (CA). With the majority of votes, we award the grand prize to: Hopeless Land, by Wei Liu (CN). The winning work is stunnigly simple, yet made complex by its politics, and builds upon a universal message of hope. It is without a specific reference to the artist as isolated from society but rather reinforce the notion that the artist is a vital member of society with the same shared responsibilities in the expanded city. 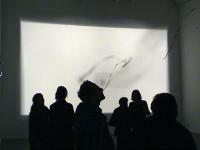 The International Media Art Biennale WRO 09 is organized by WRO Center for Media Art Foundation. The competition is open to any work created using electronic media techniques, exploring innovative forms of artistic communication. Philip Widmann Germany / German Born in Berlin. Lives in Hamburg. Works on and for miscellaneous film and theatre productions. Destination Finale 2008 A man travels Europe. Shortly thereafter, American forces enter the ground war in Vietnam. Nicolas Provost BE The work of Nicolas Provost (BE, 1969) balances between fiction and the fine arts, the grotesque and the moving, beauty and cruelty, as it intends to walk on the thin line between dualities. Time and again his phantasmagorias provoke both recognition and alienation and succeed in catching our expectations into an unraveling game of mystery and abstraction that has both an emotional and intellectual impact With manipulations of time and form, cinematographic and narrative language is analyzed, accents are shifted and new stories are told. The extraordinary is elucidated in order to reveal the global. 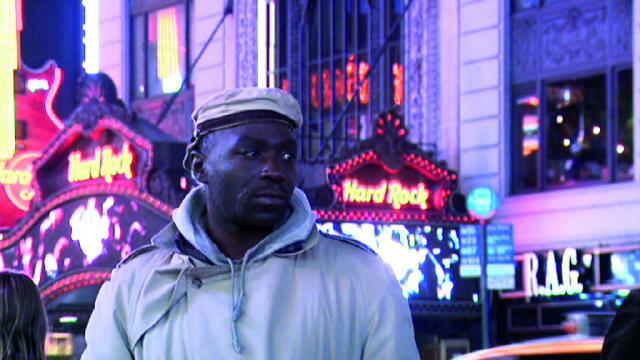 Apart from the use of film and visual language, sound is also a constant Plot Point 2007 The crowded streets of New York City turn into fictive, cinematographic scenery. Provost is playing with our collective memory, its cinematic codes and narrative languages, questioning the boundaries between a staged, suggested reality and authentic fiction. Although for the most part filmed with a hidden camera, Plot Point_ presents a highly dramatic construction with overly sophisticated images and a subtle but tangible urge in the soundtrack. The meticulousness with which Provost shoots and edits the images and sounds make Plot Point, the perfect trailer for dramatized experience in our daily life - an ordinary walk on the street will never be the same again. Marcin Giżycki Polska Historyk sztuki i filmu, krytyk, reżyser. W latach 1979-81 był redaktorem naczelnym kwartalnika "Animafilm" - organu Międzynarodowego Stowarzyszenia Twórców Filmu Animowanego (ASIFA). Od 1988 r. związany jest z amerykańską uczelnią Rhode Island School of Design w Providence, gdzie wykłada teorię i historię filmu i sztuki współczesnej. Jest autorem kilku książek, m.in. : "Awangarda wobec kina. Film w kręgu polskiej awangardy artystycznej dwudziestolecia międzywojennego" (1996), "Nie tylko Disney. Rzecz o filmie animowanym" (2000), "Wenders do domu" (2006). Zrealizował m.in. następujące filmy: "Providence to ja! Opowieść o H. P. Lovecrafcie i jego mieście" (1997), "Wyspa Jana Lenicy" (1998); "Podróże Daniela Szczechury" (2005), "106 Olney Street" (2007), "Sycylijska Pchła" (2008), "Panta rei" (2008). Był współkuratorem wielkich retrospektyw polskiej animacji w Muzeum of Modern Art w Nowym Jorku (2003) i w Centrum Pompidou w Paryżu (2004). 106 Olney Street 2007 Film eksperymentalny z elementami animacji. W mieszkaniu, gdzieś w USA, którego lokatorzy są nieobecni, na sekretarkę nagrywają się reklamy, podczas gdy refleksy świetlne odbite od przejeżdżających ulicą samochodów tworzą na ścianach ruchome wzory. Gregory & Anais Lasserre & met den Ancxt france The french artists couple : scenocosme (www.scenocosme.com) is made by Gregory Lasserre and Anais met den Ancxt. Ana"s was born in Lyon in 1981. She is graduated from the university of Lyon in anthropology, from the Ecole Nationale des Beaux Arts in Lyon, and from the Ecole Supérieure d"Art et de Design of St Etienne. Grégory was born in Annecy in 1976, he has studied Computer Science and Electronics, he is graduated from a Master in Multimedia and created interactive artwork since 2002 as a digital artist. Each other they use interactive art, music and architecture in order to create evolutionary and interactive artwork. With multiple forms of expression, they invite the spectator to be in the centre of musical or choreographic collective performances. Presented recently at BIACS3 - International Biennial of Contemporary Art of Sevilla, Scenocosme have also exhibited their artworks at many digital art festivals in France (Scopitone, Arborescence, Nuits sonores, Tilt...) and others countries (VAD festival (Spain), Streamfest (Italy), SHARE festival (Italy), ACM SIGRRAPH (Germany) ) in art and cultural center (Kibla multimedia center (Slovenia), Carré des Jalles, Maison Salvan, Centre d"exposition les Réservoirs...). Scenocosme artwork was ever selected by important curators like Peter Weibel (Director of the ZKM Centre for Art and Media in Germany), Anne Nigten (Manager of the V-2 Lab, Rotterdam) and organizer of SIGGRAPH 2007 Art Gallery (San Diego - USA). Akousmaflore december 2007 The interactive garden Akousmaflore is a small garden composed of living musical plants or flowers, which react to human gestures and light contact. Each plant reacts in a different way to contact or heat by a specific sound. The plant language occurs through touch and the close proximity of the spectator. Our invisible electrical aura acts on the plant branches and encourages them to react. The plants sing when the audience lightly stroke or pass in the immediate vicinity to them. A flower concert is created. Alliance between nature and digital technology In our artwork, we create hybrids between plants and digital technology. Plants are natural sensors and are sensitive to various energy flows. Digital technologies permit us to have a relationship with plants and sound. We display the effects of random data flow and plant interaction. The data is modified as the spectator meanders around and touch the installation, resulting in a random musical universe. Audience gestures and movements generate sound effects and changes in the texture of the sound. Approach : invisible design Our body continually produces an electrical and heated aura, which cannot be felt. This phenomenon exists in our immediate environment. In our research, the "design of the invisible", our approach is to animate that which we cannot detect. Mixing reality with imagination, we propose a sensory experience that encourages us to think about our relationship with other living things and energy. Indoor plants can have an ambiguous definition that swings between decorative object and living being. It is said that "inanimate objects" can react when given human attention. Through "Akousmaflore" Plants let us know of their existence by a scream, a melody or an acoustical vibration. Andreas Templin Germany/German Andreas Templin is a visual artist and lives in Berlin. He holds a MA-Fine Arts degree from Sandberg Institute Amsterdam and exhibits widely. His current projects involve and exhibition at the Shanghai ZENDAI-MOMA, Filtered Gallery, curated by Rachael Booth, Video_Workcase Nuremberg (compiled by Andreas Templin. His recent exhibitions include Madrid Abierto 2008, World Oneminutes Beijing, Art Athina and a solo-presentation atKUNSTVLAAI Amsterdam. He docents regularly for UNICEF and is curating exhibitions on an irregular basis, for instance a show at DUVE gallery Berlin in 2009. http://andreas-templin.blogspot.com/ as if to nothing 2008 The videowork "as if to nothing" comprises of a selection of statistical data of the earth and its po- pulation. This data, comprised from various governmental sources, is displayed in a very specific and subjective interdependency, is combined with the higly dramatic second move of Bruckner"s 7th symphony which is looped for the screening. This music-piece, a tour-de-force through the hu- man emotions, is used to underline the weight of the subject-matter of this artwork. The work is utilizing the internal clock of the computer to calculate the statistics which requires eit- her a computer or a internet-connection to screen it. The work is preferably projected or shown in a calm, dark surrounding to enable the viewer to reflect. The statistics used are based on data gathered by US Census Bureau, CIA World Factbook, UK Homeoffice, Wikipedia, World Health Organization, Avert, UICC, National Wildlife Federation and many more. Dana Sederowsky Sweden Born in Helsingborg Sweden 1975 Living and working in Gothenburg. MFA in Context and Media, BFA in Photography from the University in Gothenburg. Selected exhibiitions: NCCA Ekaterinburg and Moscow, Russia, Gothenburg Museum of Art, Sweden, Kunsteverin Tiergarten, Berlin Germany, Ex Teresa Actual, Mexico City, NIMAC Nicosia Cyprus, The Australian Centre for Photography, Sydney Australia, Robert Berman Gallery, Los Angeles U.S.A etc Please see more information on www.danasederowsky.com Special Announcements Edition Two 2007 In the work Special Announcements, Edition Two we are met by a speaking statue, a bust with closed eyes, as if on a lit de parade, expressing thoughtfulness about life itself. Visuallly there are no distractive elements, a graphite grey background misleads as coordinates for time and space are missing. From this oracle-like position, as if from a higher consciousness, she addresses the viewer at the same time as she seems to be conversing with herself. She is a communicator, ready to listen. She invites dialogue with the viewer and wants to create a meeting. The viewer receives instructions and also suggestions as to how to behave in his/her life. As the leader of a sect, a guru, she wants to lead the listener into a conversation filled with rhetorical questions, on the one hand to dismantle rational considerations, on the other hand to attract the listener with a repeated usage of the pronoun "you." This strictly staged oral performance investigates the literal meaning of language. Aga Klepacka Polska aga klepacka - studiowała filmoznawstwo i filozofię na UJ; obecnie eksperymentuje. Pile-up box 2008 PILE-UP BOX to obiekt fizyczny. To niezwykła szafa grająca. Jej niezwykłość polega na tym, że zamiast tradycyjnego programu MBOX ma inny, autorski, tworzący jakby zapis historii granych utworów. Działa to na zasadzie palimpsestu, kolejne wybierane przez użytkowników nagrania są na siebie bezpośrednio nakładane, co w rezultacie daje noisowy, chaotyczny dźwięk. Utwór wybrany przez użytkownika nie może zabrzmieć autonomicznie, niezależnie " jest to zawsze coraz większa o kolejne wybierane piosenki wspólnota dźwięków. O ile na początku można "wyłapać uchem" poszczególne utwory, to po kilku/nastu dniach będzie to ściana dźwięku, oddająca wspólnotowy, społeczny i historyczny charakter miejsc, w których żyjemy. Różnorodność może istnieć równocześnie i obok siebie. Mimo zapewnień naszego rządu nie ma krótkofalowych działań. Teoria chaosu. Każde nasze działanie zmienia przyszłość. Wyjście z getta jednorazowości przeciwko monofoniczności i przemocy konsensusu. Wielogłosowość i napięcie. Istnienie wszystkiego naraz. Bombardowanie. Teraz. Zawsze. simone bennett netherlands Simone Bennett is a filmmaker/video artist who makes short films and videos. She studied audio-visual art at the Gerrit Rietveld academy in Amsterdam. After her studies she worked as a filmmaker in Berlin for several years. In her films Simone Bennett combines experimental film with narrative story telling. Working closely together with camerawoman Lonneke Worm they produce their short films under the name of Loneproductions. Loneproductions is based in Amsterdam. The Truth machine 2007 A short 35 mm film about a car accident based on an old Persian fable: Truth is a mirror which fell to earth in a million pieces, and each human being picked up a piece, looked at it and saw themselves reflected. And each decided they saw the truth"but not realising that truth is splintered among all people. Mauro Ceolin Italian Mauro Ceolin ( Milan, Italy 1963) is a multimedia Italian artist and painter based in Milan, whose work is focused on representing contemporary realities. Since 1996 his research consists in studying the aesthetics forms and the experiences coming from the videogame environments.In the past few years his work has been shown in many international shows and venues as invited artist he participated to many new media festivals around the world. Official website: www.rgbproject.com RGBwebroids2 2007 Try to survive and shoot, as you can in the process. Mauro Ceolin concentrates his attention on the video game's universe. According to him the video game is not only an entertainment, but also a form of communication. Unlike other neopop artists, Ceolin does not analyze the videogame only as a language, but he uses it as a language and as a media to communicate and to describe the reality. RGBwebroids2 is not a surrealistic videogame. It describes a real web-social scenery. Ceolin describes this Internet war with his favorite language: the videogame. This media allows the artist to describe facts, real situations with a brief, fast and ironic language which everybody can understand. Wei Liu China Liu Wei"Born in 1965, P. R. China, He is an independent artist living and working in Beijing. In 1992 he graduated from the Department of Fine Arts, of China Central Academy of Drama and in 1995 completed his studies at the Symposium on the Relationship between Religion and Culture, hosted by the Philosophy Department of the Beijing University. Liu Wei has been engaged in the fields of contemporary art for many years. His works are closely related to personal experience and memory, as well as the reality and rapidly changing history of contemporary China. He"s works have been exhibited at many art institutions internationally including at the ZKM Center for Art and Media, German; Centre Pompidou, France; Museum of Contemporary Art, Denver; Casoria Contemporary Art Museum .Italian; Nasher Museum of Art, U.S.; AdK - AKADEMIE DER KÜNSTE. Berlin; Musée Fabre , France; The Centre of Contemporary Art Palau de la Virreina, Spain; Belgrade Cultural Centre, The Guangdong Museum of Art, China;. Taipei Fine Art Museum and SESC Art Centre, Brazil etc. Works: Flowting Memory; Year by Year; A Day To Remember; Silence Unforgettable Memory Hopeless Land 2008 These junkmen in this photo are farmers living in suburban areas of Beijing who come to this refuse dump everyday to grub wastes and domestic garbage from urban households in exchange for meager income as supplement to their basic subsistence. Along with rapid economic development, the city of Beijing has been sprawling in all directions. On the one hand, the croplands are continuously shrinking but farming income remains unchanged. On the other hand, consumer demand is increasing despite of steadily growing consumer price. This situation has forced numerous farmers into a new dilemma and they have to find a new way out for subsistence. Many farmers have leased out their croplands and rushed into cities to make a new living, while other farms have to continue relying upon their croplands due to their illiteracy and lack of adequate technical skills. But farming income has been far from being able to meet their need for subsistence and they have been forced to grub urban refuses in exchange for supplementary income. The continuously sprawling cities dump enormous garbage in their suburban areas, where local residents, mostly farmers, have to maintain their subsistence by grubbing these urban refuses. This is a part of the realty at the moment. Ann Oren Israeli Born in Israel, received her MFA in Fine Arts from the School of Visual Arts. Exhibitions include "Freewaves" The Hammer Museum, LA, "View From Here" PS122 Gallery, NY, "Festival du Cinema de Paris", Paris, France, "Chashama Film Festival" NY and "Come out & play" Apexart, NY. Oren is a grant recipient from The Visual Arts Fund, The School of Visual Arts, The Jerome Foundation and the National Board of Reviews New York. Ann is currently developing a Multi-Media play in collaboration with playwright Anna Gutto to be see at 3LD Art&Technology Center in the spring of '09. Factory 2008 "FACTORY"- Video installation. 10" by 6" video projection, paper. Factory depicts a supervisor with a bullhorn trying to encourage the lazy workers to up their production of some unknown product. I play all the roles in the video. Peter William Holden Germany / British From an early age I became fascinated with moving imagery, transformation and technology. The abstract pixels of the 1980"s home computer gave me a glimpse into the wonderful world of mathematics. And early electro with its synthetic sound introduced me to the complex dance routines of break-dance and acquainted me with the beauty of choreographed movement. [Selected Exhibitions] 2009 Invitation to exhibite "Arabesque" und "Autogene" File - Electronic Language International Festival, S"o Paulo, Brazil. www.file.org.br VideoDansa, Barcelona, Spain. www.nu2s.org 2008 "Move" Digitial Arts Festival. Coruna, Spain www.move2digital.net Media Art Award of the 13th CanariasMediafest. Gran Canaria International Festival of Digital Art and Cultures. www.canariasmediafest.org boDig 08 festival, Istanbul Turkey, Kapelica Gallery Ljubljana, Slovenia www.kapelica.org 2007 "La sc"ne dans tous ses états", [ars] Numerica, Montbeliard, France www.ars-numerica.net Technologically Expanded Dance, Lisbon, Portugal. www.tedance.com E-Art Festival "Digital Art & Magic Moments", Science and Technology Museum, Shanghai, China. www.shearts.org/ Le monde est plein d"images, Hochiminh Ville, Vietnam. www.lemoisdelimage.net Almost Cinema, Gent, Belgium www.vooruit.be ROBODOCK, Technology & Arts Festival, Amsterdam www.robodock.org GOODBYE PRIVACY, Festival Ars Electronica, Linz, Austria www.aec.at Museo Municipal San Telmo, San Sebastian, Spain "KUNST IST KEIN SPASS" 24-Stunden-Ausstellung GalerieRieRiemann, Leipzig Arabesque 2007 This work falls somewhere between conventional notions of sculptural art and performance " producing what I consider to be a real time animation. "Arabesque" with its roots in Mary Shelly"s "Frankenstein" and the alchemist"s laboratory, presents itself as a mechanical flower: a simulacrum of nature. Life sized human body parts, impaled upon steel, move and sway and dance. The limbs, translucent and livid, bare their internal robotic mechanisms to the gaze of the viewer. The wiring itself is an aesthetic expression deliberately integrated into the installation to bring chaotic lines of abstract form to contrast with the organized symmetry of the body parts. The lifeblood of this organism is air and when activated this air flows invisibly, bestowing movement to these mechanisms and its presence is only betrayed when exhaled loudly from the valves attached to the serpentine air hose.This combined with the rattle of relays and the tandem clattering of pistons to produce a hyper-modern accompaniment to the music of Strauss. "Arabesque" can be viewed form a multitude of angles, revealing a kaleidoscope of beautiful shapes and patterns created from the human form. Dmitry Strakovsky USA Dmitry "Dima" Strakovsky was born in St.Petersburg, Russia in 1976. In 1988 his family immigrated to United States. He completed his MFA degree at The School of the Art Institute of Chicago's Department of Art and Technology and stayed in Chicago for several years producing art and working for various companies in the toy invention industry. In 2006 he began his full time academic career at the University of Kentucky (Lexington). Dima's work spans across diverse media: robotic/kinetic installation, sound, video, performance and graphic arts. His work has been included in a variety of exhibitions at venues such as Tokyo National University of Fine Arts and Music, Museum of Contemporary Art (Chicago) and Boston CyberArts Festival. ...as if a forest 2008 In a brand conscious world we reach for stability in our definitions and associations: coca-cola=red, nike=athlete, wall-mart=cheap. In "...as if a forest" I set out to erase this sense of stability by highlighting illusionistic nature of the processes involved in "experience delivery." The work is "packaged" in a 10 step set of nonsensical directions generated by a fictional company. The directions explain how to create a sound experience of a forest. I begin the work with a performance in front of an audience on the first day of the show (approximately 20 min.) I read each step and perform the sounds associated with it. The vocals are recorded using a custom software sampler designed for simultaneous multi-channel playback. All the samples are looped, so audio from each step builds on the previous ones until a full forest soundscape emerges. The sounds are played back through ten speakers distributed throughout the gallery space. The speakers are attached to the hardware setup by a series of vine-like chords that complete the forest reference. After the performance is over, the sounds continue looping for the duration of the exhibition. Video documentation of the performance is added to complete the viewers' experience of the work. This continues a game of simultaneous construction and de-construction of the sound experience, which began during the performance phase. At this point the visitors are drawn in by a "nature recording" (in the past, several individuals mentioned that the installation space became an escape from the urban environment around them,) only to discover that the video component undermines the idyllic narrative. This experience highlights the fluidity of audience members' own perceptions and choices they generate. Markus Kison Germany Markus Kison is educated as a graphic designer at the "Berufskolleg für Grafik-Design" in Ulm and graduated with distinction. Afterwards he worked as an editor and graphic designer. Following he studied physics at the "University of Ulm". He moved to Berlin in September 2003 to begin his studies on visual communication at the "University of the Arts Berlin" in the "Digital Media Class" of Prof. Joachim Sauter, Prof. Jussi Ängeslevä and Prof. Kora Kimpel. After graduating in May 2008 he is now working in Berlin/Tokyo. Selected exhibitions // The National Art Center Tokyo, JP (2009) // Prix Ars Electronica Linz, AT (2008) // EMAF - European Media Art Festival, Osnabrück, DE (2008) // Boston Museum of Science, USA (2008) // Ars Electronica Linz and Ars Electronica Center, AT (2007) // International Media Art Biennale WRO 07, Wroclaw, PL // FILE - Electronic Language International Festival, Sao Paulo, BR (2007) // Transmediale 06, Berlin, DE // Tokyo Metropolitan Museum of Photography, JP (2006) // Kiasma Museum of Contemporary Art Helsinki, FL (2006) // ZKM Karlsruhe, DE (2006) Vanity Ring 2007 Rings are well known status symbols, and the included jewel's weight in carat is a comparable value for the personal ranking of its owner (the largest two diamonds are in the British crown jewels). The Vanity Ring doesn't have a jewel, instead it shows the number of hits one gets, when he searches Google for the name of the person who wears it, a more adequate value in our time. It is personalized using a custom software, and after the name is typed the ring will change its display to show the personal "attention carats", while every night, when it is inserted into its docking station the ring is reloaded and updated. Vanity Ring is a closed medial circuit project, where the ring has influence on the mass media and the other way round. Since its publication the number of hits for "Markus Kison" increased temporarily from 700 to 40.000. Karolina Sobecka US/POL Karolina Sobecka works with interactivity, installations, video, animation, and other new and old media. Her art and design are daily attempts at making our world more beautiful and meaningful. Her artistic interest is strongly stimulated by the advances in science and technology, which shape our understanding of ourselves and our world. Karolina was born in Warsaw, Poland, got her BFA from the School of the Art Institute of Chicago, and her MFA in Experimental Animation and Integrated Media from the California Institute of the Arts. Her work has been shown at festivals and galleries around the world, including ISEA, Trampoline Festival, New Forms Festival, FILE festival and others. Stability 2007 The viewer stands in front of a projection of a CG room, and manipulates a small plastic cube. When she moves the cube, she discovers that the projected room moves in accordance: it appears as if it was contained inside the object she handles. The room is simply furnished: table, chairs, cabinet, bookshelf. A single animated character resides in it. Any shaking or turning of the physical cube affects the room, sending the furniture and the character tumbling around and smashing into the walls. The viewer, with a flick of her wrist, can inflict dramatic changes in the virtual world as the physics of the real world are applied to it. When the cube is put back on the pedestal and regains stability, the animated character gets up, records what happened in his Disaster Log Book and goes about picking up and arranging the furniture. Each arrangement he arrives at is unique. Stability is a metaphor for the need for creating a mental order of the world and reorganizing it every time our assumptions are disrupted. It explores ideas of futility, relentlessness, order and chaos, underlying logic that will remain forever un-discoverable from the character's frame of reference. Eva Hausberger Austria/Austrian Eva Hausberger was born 1983 in Styria, 2001-2002 studying Arthistory, 2002-2006 studying Multimediaart in Salzburg (graduating 2006), 2005 studying abroad at FAMU Prague. Since 2005 living and working in Vienna on different movie and theaterprojects as directing-assistance, visual artist (monochrom, Miki Malör,...), editor, doing video-workshops and working on own projects (directing, writing, editing). Heading 2008 "When the look on a face forebodes its reason, then this look becomes the mirror of fantasy." (Béla Balázs) - Where do you still have the possibility to openly show your emotions and excitement, if not in sports and which sport would be better for this than football" The film features a game of football through the actions and reactions of the fans. The reason for their emotions stays in the off for most of the time. The Fan becomes the medium, which communicates the match. The two teams competing are the Döblinger Kojoten and the FreundInnen der Friedhofstribüne. They fight out the match. Man against man, team against team. May the best man win! Cecilia Stenbom UK/ Swedish Cecilia Stenbom (b. 1976 Stockholm) lives in Gateshead and works from a studio in Newcastle upon Tyne in North East England. She completed her BA at The Academy of Fine Art in Helsinki, Finland and graduated from an MFA at Glasgow School of Art in 2005. Her work has been exhibited and screened internationally. Recent exhibitions include "King Fisher's Tales" at Union Gallery, London, "False Witness" at Workplace Gallery, Gateshead, and "Daily Escapes" at MUU Gallery, Helsinki. Cecilia"s artworks and films explore notions of identity and relationships in a mediated world. She examines our desires by appropriating genres of mass media and commodity such as advertising, documentary and the TV movie, fulfilling the expectations that those genres set up. The Protocol 2008 "The Protocol" is a re-staging of an American infomercial, which in turn is an imitation of a US talk show. An interviewee is selling a book about a weight loss cure; a set of guidelines explaining how to lose weight without any deprivation or exercise, only occasionally interrupted in her relentless flow by an interviewer seemingly in on the act. Stenbom performs both characters in a mirror image that shifts the film away from straightforward re-enactment reflecting back the neurotic inner chitchat of the consumer, and the perpetual sales pitch cloaked beneath the guise of junk science and daytime TV. Seoungho Cho USA/ S.Korea Seoungho Cho was born in 1959 in Pusan, South Korea. He received his M.A. from New York University. In 1998 he received a Rockefeller Foundation Media Arts Fellowship and in 2003 he received a Jerome Foundation grant. He has received the "Grand Prize" at the 27th Annual Black Maria Film and Video Festival as well as the International Award for Video Art from ZKM. Cho's one-person exhibitions have included The Museum of Modern Art, New York; the Contemporary Art Museum, Honolulu; Samsung LeeUm Museum of Modern Art, Seoul; Montevideo, Amsterdam; Millennium, New York; and the Cinematheque , Toronto. i left my silent house 2007 Seoungho Cho's latest work, I Left My Silent House, begins in a meditative mood with black and white images of people in the subway and then transforms itself into a colorful journey across dramatic open spaces, until it returns once again to the city. The video's driving electronic soundtrack and dramatic image processing give it an intense yet somber quality. It is a visceral investigation of the tensions and pleasures of travel and, ultimately, metamorphosis. piotr bosacki polska ur. 1977 ukończył ASP w Poznaniu. zajmuje się sztukami wizualnymi i kompozycją muzyczną. Pracuje na uczelni macierzystej w Katedrze Intermediów. The Grim Reaper 2008 Kostuch mieszka na kwadratowej siatce. Składa się z dwunastu gwoździ i kawaka gumki. Film jednocześnie narracyjny i abstrakcyjny. W roli narratora mała dziewczynka. Eric Siu USA/Hong Kong Eric Siu is a young new media artist raised in Hong Kong and currently a graduate student of Design | Media Arts in UCLA. In 2008, he completed a 12-month cultural exchange and research project in the United States funded by Lee Hysan Foundation, Asian Cultural Council. His video art and multi-media works have been shown both locally and internationally including USA, Australia, Japan, Korea, Germany, and Poland, amongst others. His video short "Sliding Whites" has received an honorable mention from the WRO 05, 11th International Media Art Biennale, Wroclaw, Poland. He serves as board member of Videotage, Hong Kong and taught in Hong Kong Institute of Vocational Education (Kwun Tong). Eric has a broad interest in animation, video, installation and interactive art. He loves to create interesting spectacles and to transform human perception and experience to sensational levels by means of technology. He explores media in a raw and primitive perspective. Optical Handlers - eeyee 2008 Optical Handlers " "eeyee" is an optical device with simple tools set (cameras and LCDs), which subverts one"s body experience and encourages social interaction in a handy and playful way " toying with oneself, playing with others. Optical Handlers was first developed in 2003. The first version consists of a goggle (equipped with two LCDs) and two cameras (video sources for the LCDs), which separate binocular vision into two, and extend both of them (cameras) onto hands. The mobility of one"s vision becomes a literal and corporeal experience as you move through space. eeyee (quadocular) is the second version of Optical Handlers. With similar setting, it comes with four LCDs and four cameras. This double mobile real-time stereoscopic viewing device has a redundant reality that questions, "Aren"t we living in a 3D world already" Or are we"" "eeyee", facilitates a hyper entanglement exclusively for the users. "eeyee" has a set of identical LCDs that faces outward, which enables bystanders to see what the users are looking at as close as they want. "eeyee" essentially blinds the users as well as heightens their senses to create a tension between their followers and the place where it is played. Yoshihito Mizuuchi Japan Born in Japan 1978. I creates most of his works form objects such as cardboxes, magazines and food which he usually uses in his everyday life and phenomenon in everylife and all five organs of sense such assound,smell. My art originates from my experiments with tape recorders in my elementary school days, when I mixed / collaged various sounds from different sources to create highly original & personal tapes. Thisapproach to sound has applied to his creation of art up to the present. I attempts to find diverse significance of the everyday objects from their juxtaposition and transformation of the dimensions a 2008 Handmade sound instrument goes by gravity. Filip Chrobak Polska Ur. 23 listopada 1985r. Obecnie studiuje na wydziale Komunikacji Multimedialnej na ASP w Poznaniu. Gold 2007 Złoto jest odbiciem. Nie zaaranżowaną rejestracją naszej rzeczywistości. Marius (ger) / Rocío (Venezuela) Leneweit / Rodriquez Production: Spain Marius Leneweit 1975 Hamburg, Germany 2006 Universität Lüneburg Department of Applied Social Studies, Lüneburg. Germany Former Works, Photographs: Mensch Erde, Performance (with Lasse-Marc Riek), Brodner Ufer. Germany Über-Ich, Analysis S.Freud, Hamburg. Germany Scuola, Integration Project, Hamburg. Germany Rocío Rodríguez 1979 Caracas, Venezuela 2005 MA in Digital Performance, University Doncaster College, UK. 2000 Video studies, Centro de Estudios Punt multimedia, S.G.A.E, Espa"a. 1996 Dance diploma, Escuela Ballet Arte, Venezuela. ...niland 1 2008/09 ...niland 1 builds new landscapes on the sea, the center of which is the breathing between water and tornades currents, a fight for air being interrupted by a mere decline of the water level, allowing the shining of the water surface line. ...niland tells unreasonably through pictures, lets us imagine events, persists on searching and remains uncertain. ...niland is built on the separating line of both water and air being symbolically related to the emotions and common sense; a diffuse fleeting glance of a interline that we cross through from side to side. Derek Roberts Austria Born 1978 in Birmingham, USA. Lives and works in Vienna. MFA Academy of Fine Arts, Vienna. (Master-class Prof. Hans Scheirl) (2007-). MAAdvanced International Studies Diplomatic Academy of Vienna (2005). BA History Wesleyan University (2000). Selected exhibitions: The Thick of Things (Combinat - Yienna 2006); The Love l'm On (Backbone - NYC 2003) Corners 2008 A young man jumps into the picture accompanied by a drumming sound: Dag dag ding ding dag dag ding - parallel to the growing rhythmatization, the protagonist gets up and starts running. He sets out from a courtyard in Vienna and proceeds to diverse sites in the city: dashing rapidly around the corners of buildings, running down streets, easily jumping over all hurdles and leaving behind a steady trail of staring, astonished passersby in the wake of his sprints through subway and shops. Derek Roberts, in his debut film does not give either himself or the observer a breather, but instead, forges continuously on to new sites of the city: a half pipe in the outskirts, a climbing wall in Vienna's Prater, a sculpture on the Danube, and a fenced-off construction site, which he, of course, traverses. Diverse accessories, such as melons and clownish outfits, emphasize the playful, slapstick nature of his physical "appropriation of space," in which he not only undermines the city's normal vantage points, but also makes the assertion that urban space always allows itself to be used in different ways and can be reshaped only through use. CORNERS represents an attempt to interact with perpendicular obstacles throughout the city of Vienna. By filming and editing these seguences as we did, one can easily discern a certain flow as all of the elements are integrated into a cohesive challenge in maneuvering around, over, under and through these temporary and permanent urban structures. It offers a range of patterns, pace, texture, color, and contrast of a city that is well-built, but not to the point where one can't shift the way that it is experienced. You have to learn how to appreciate and yield rewards from your city's, often restrictive, infrastructure in a multitude of different ways. You have to refresh your perception of the function of your city. We believe that with a slight shift of one's under-standing, the city unfolds and offers plenty to play with. This is precisely what we have attempted to convey in this brief, exploratory film. Siegfried A. Fruhauf Austria Born 1976 in Grieskirchen (Upper Austria). Lives and works in Linz and Heilingenberg. Since 1993 experiments with video and later also with film. Studied experimental visual design at the Art University Linz. Various works, installations and exhibitions in the area of film and video. 2002 Award rof Filmart by the Australian Federal Chanceleery. Night Sweat 2008 Night Sweat is a reflection on perceptions and appearances that have been prefigured by media, though not without involving its audience emotionally. This is especially clear in the second chapter, in which the stroboscopic flashes of light at night are accompanied by a snarling soundtrack of noise. The elevated view of the moon collides in a consciously brutal way with the arsenal of motifs taken from horror and splatter movies. Rainer Gamsjäger Austria 1974 born in Bad Ischl, Austria. 1993 Graduation Diploma at Hóhere Technische Bundeslehranstalt -Graphic/Design, Graz. 2007 Graduation at University of Art and Industrial Design (Experimental Design/Herbert Lachmayer) Exhibitionsand projects (Selection): 1999 „healingmachine" exhibition net_life, O.K. Centrum ftir Gegenwartskunst, Linz 2002 „High Resolution" Diagonale, Graz 2003 „Wonders Of The Modern World", MAKNITE, Yienna 2004„BLOWFELD" Special Mention, Film festival Crossing Europę, Linz 2004 „OSC" Exhibition „Yideothek", Galery of the city Wels 2007 „TRIFTER" Exhibition „START POINT" Galery Klatovy/Klenova, Czech Republic Trifter 1 2008 A slow pan along a forest that breaks off at a small terrace in the foreground of the picture: Slender conifers stretch upwards over cut and fallen trunks, dead branches and roots, churned soil and dry grass, and paradę past one an-other, structuring the space to impenetrable depths. The apparent naturalism does not hold up for long. Something is not quite right with this picture, this movement. In the background the trunks begin to stretch out horizon-tally. Has the image been digitally altered" Have artificial effects been applied to the idyllic scenę" Not at all. Instead, the image as a whole. Harald / Paul Hund / Horn Austria Harald Hund Born 1967 in Austria, video artist. Studied new media at Academy for Fine Arts, Vienna (Peter Kogler) and University for Applied Arts, Yienna (Isabelle Graw). Several exhibitions and participations at international (short) film festivals. Paul Horn Born 1966 in Auustria. Assistent-teacher and lecturer at the University for Art and Industrial Design Linz (department for art and cultural studies). Several exhibitions and participations at international (short) film festivals.Filme/Films: (In collaboration, selection) Dropping Furniture 2008 Ali people is plastic 2005 Ungeklarte Verhaltnisse 2005 Habibi Kebab 2003 Tomatenkopfe/Tomatoheads 2002 Warm Humans, musie video 2000 Green Girl, musie video 1996 Dropping Furniture 2008 What remains when nothing more remains and life is literally turned upside down" Dropping Furniture begin by focusing on two empty rooms. Soft, barely audible sounds general a subtle suspense. After a few seconds, when we have almost become accustomed to the seemingly existential emptiness of the apparently abandoned dwelling, two pieces of furniture fall from above the image frame, in slow motion into the back room. A chandelier follows, falling to the floor in the large front room, shattering as a start signal for a choreography of destruction structured by two fixed camera takes. A sofa, reading lamp, and a chair with stuffed animals magically float down. The furniture of an obviously old-fashioned, middle-class living room is disposed of, smashing on the floor, orchestrated by an echoing sound track synchronized with the decelerated image. As the weighty, built-in cup-board is finally dashed to pieces, a telephone begins to ring in real time - a final indication of communication. The house plant and the aquarium that fall towards the end provide no clues as to the author or motivation of this ritual of termination. Yet there is an enigmatic point concealed here. On the one hand, we witness a release from the suffocating world of material possessions in an act of destructive liberation, along the lines of the cliche of the rock star tossing a TV out the window. On the other hand, this very wreckage is what engulfs the empty room once again, fills it with the spreading waste of its own history. In the end, after the fade to black, we imagine the sounds of further objects crashing to the ground: sounding like the rolling thunder of a cleansing storm. Mara / Chris Mattuschka / Haring Austria Born 1959 Sofia Bulgaria. Lives and works in Vienna. Film, painting, performance. Running Sushi 2008 What the aquarium saw. „How should we explain the discrepancy between people's attitude toward the inner and outer life" Why is it so sharp"” In the contemporary Manga household, traversed by the slowly rolling conveyor belt of the raw fish snacks of everyday life, the descendantsof Adam and Eve cower in eponymous costume under dispassionate, detached fish-like eyes. The visual focus is mainly somewhere under the non-existent ceiling of this claustrophobic yet boundless room. It is an angle usually only experienced when close to death. But these animated contemporaries, in not wholly conjugal clinch, presumably aren't mortal. They are too artifical for that, and too naked. Yet even their nakedness: what is it exacly" Not innocent; not arousing; the suitable fleshcoloured costume for close combat. Domestic life flourishes on a neon green artificial lawn. Even more artificial than the modern Asiatic style household: an impossible exterior creeps into the interior of the self-infatuated contact athletes. Norbert Pfaffenbichler Austria artist and curator; Study of Mediadesign at the University of Applied Arts, Vienna Exhibitions and Festivals (Selection): 1996 Chromapark, Berlin. 1997 Chichester Film Festival, Chichester; Circles of Confusion, Berlin. 1998 Diagonale, Graz. 1999 viper Videofestival, Basel. 2000 Sonar Festival, Barcelona; Medienturm, Graz. 2001 Underground Film Festival, New York. 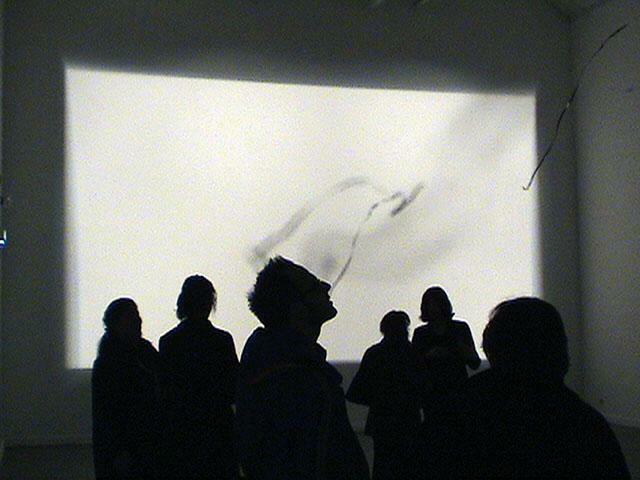 2002 Internationales Filmfestival, Rotterdam; Intercultural Videoart Exhibition, Tokio; 59. Filmfestspiele, Venedig; Museum der Wahrnehmung, Graz. 2003 Sound Spectral, O.K Centrum für Gegenwartskunst, Linz; Ars Electronica, Linz. 2006 DIGITAL TRANSIT, ARCO, Medialab Madrid. Mosaik Mecanique 2008 All the shots of the slapstick comedy “A Film Johnnie” (USA, 1914) are shown simultaneously in a symmetrical grid, one after the other. Each scene, from one cut to the next, from the first to the last frame, is looped. A pulsing visual polyrhythm is produced as a result, because of the shots’ varying lengths. The total length of the mosaic film corresponds precisely to that of the original. Andrea Lange Germany / german date of birth : 13th of September 1977 place of birth: Jena (Thüringen/ Germany) main subjects: performance installation video Art Education 2003-2009: studies of Fine Arts at the University of self-resolution 2008 / 2009 an audio-visual performance: A live analog sound composition is created by four radio sets. The generated minimal sequences depend on the passing time and the electricity which is running through the little machines and my own body. This builds the basis for the audible sequences. I altough use short cuts from radio signals to remember their original meaning and to have human voices confronted with the clean electronic wave. Every radio has a digital clock which is creating a transformed picture " these are projected at the walls to get an even more physical feeling for the beating sound. ((The number of projections is one to four, depending on how much equipment is availables.) The repetitions (of the sound and visualisation)symbolise a movement in between " without origin and ending. I like to `show` different layers which will get more and more closed, connected and will fall in resolution. The built radio-sound-machines can not be really controlled, sometimes I can just react to their live actions, a kind of conversation through the time and space: control and loosing control. Adam Abel Polska Adam Abel, ur. 1971.W latach 1992 - 1997 studia w Akademii Sztuk Pięknych we Wrocławiu, na wydziale Ceramiki i Szkła. Zajmuje się rzeźbą w tworzywie ceramicznym, animacją i video artem. Jest adiunktem na wydziale Ceramiki i Szkła Akademi Sztuk Pięknych we Wrocławiu. W 2000 roku jako artysta wizytujący pracował na Uniwersytecie w Akron ( Myers School of Art ), Ohio USA. W latach 2005/2006 tworzył w Korei Południowej, gdzie objął stanowisko profesora wizytujacego na wydziale ceramiki w uniwersytecie Kyung Hee. Brał udział w wielu wystawach indywidualnych i zbiorowych w kraju i za granicą. Laureat Nagrody Dyrektora Artystycznego WRO’95. Jego animacje prezentowane były m.in. na festiwalach we Francji, Szwajcarii, Estonii, na Węgrzech i w Niemczech. Affirmation 2008 Informacja prasowa z 2007 donosząca o zgodzie na krzyżowanie zwierzęcych komórek rozrodczych z ludzkimi a tym samym aprobata działań związanych z obszarem budzącym wiele kontrowersji stanowiły impuls, który wpłynął na kształt animacji. W niej interpretuje misternie tkaną strukturę żyjących organizmów, tworzącą rodzaj architektury opartej na danych zawartych w genach. Drobna zmiana ich wzajemnego układu wywołuje nowe formy, będące wynikiem przekształcenia pierwotnych informacji. "Afirmacja" to bezkresna przestrzeń, pozbawiona sił grawitacji w której poprzez wielokrotne powtórzenia aprobuje się i pochłania wszystko. Tu formy lewitują oczekując na kolejny impuls mający doprowadzić proces przemian do finału. Artur Tajber Polska/Polska Artur Tajber, ur. 1953 w Stalinogrodzie (dzisiaj - Katowice). Studia w PWSSP we Wrocławiu i ASP w Krakowie. Artysta intermedialny, głównie kojarzony ze sztuką performance, aktywny publicnie od połowy lat siedemdziesiątych. Jeden z inicjatorów formuły performance KONGER (1983-1990), założyciel galerii gt w Krakowie, prowadził galerię Pryzmat (1990-1993), założyciel i wieloletni prezes Stowarzyszenia Fort Sztuki, członek redakcji kwartalnika Fort Sztuki. WyŻładowca sztuki medialnej na WFP, ASP w Krakowie od 1982 do 2007. Twórca Międzywydziałowej Pracowni Intermediów na ASP w Krakowie (2001) i współtwórca kierunku kształcenia intermedia, potem Katedry Intermediów w ASP w Krakowie - obecnie jej pierwszy kierownik. Jest niezależnym kuratorem, pisze o sztuce i głównie uprawia sztukę performance - od około 30 lat eksperymentując w łączeniu realnych wydarzeń z emisją bodźców generowanych elektronicznie. Wystawiał na wszystkich kontynentach z wyjątkiem Australii, Antarktydy i Arktyki. "4 cities" - WALK'MAN cycle 2001/2009 Temat i cykl prac pod tytułem WALK'MAN zostały rozpoczęte z końcem 1995 roku, skutkiem bezpośredniej inspiracji podczas pobytu w Belfaście. Jest to cykl dociekań i prac rozmaitego rodzaju, od tekstów i kolekcji rozmaitego rodzaju obiektów po medialne konglomeraty operujące cyfrowym obrazem i dźwiękiem, który oparty jest na perypateutycznym doświadczeniu realizowanym w zurbanizowanej przestrzeni. Jego główne odnośniki to MIASTO, jako przestrzeń organizowana przez człowieka, i CHODZENIE, rozumiane jako wypadkowa energii emanowanej przez struktury komunikacji miejskiej. Natomiast "4" to instalacja wideofoniczna, która jest raczej określeniem odwołującym się do procedury, niż tytułem konkretnej pracy. Pierwsza realizacja zatytułowana "4" została wykonana w latach 2001-2004, zbierając w obrębie jednej prezentacji zapisy wizualne i foniczne z czterech miast: Londynu, Tokio, Walencji i Taipei, zapisy realizowane i edytowane wedle tych samych załoźeń i procedur technologicznych. Od tego czasu zwiększyła się liczba materiałów i miast poddanych tym procedurom, zmieniła się też forma prezentacji zestawu, tym niemniej kolene odsłony tej pracy nadal prezentowane są w formule czterech punktów odniesienia - stąd utrzymanie "4" jako tytułu pracy. W takim sensie "4" nie jest dzielem o stałej zawartości, lecz raczej ewoluującą formułą nakładaną na różne organizmy urbanistyczne. Podczas WRO 09 chcę zaprezentować całość skłądającą się z materiałów pochodzących z Londynu, Tokio, Mexico City i Bangkoku, o ile zdąże zamknąć na czas edycję materiałów z tego ostatniego miasta. W odwodzie mam kolekcję opracowanych już materiałów z 8 innych metropolii. Michaela Schwentner Austria Bio: Born:1970 in Austria in Linz; Studies philosophy, history, drama and media studies. Visuals, diverse concepts and realizations of exhibitions, concerts and clubs (e.g. : alternative project space "Jadengasse"). From 1995 -1999 member of the theater group "Sparverein der Unzertrennlichen". Videos (Selection): orchester 33 1/3 (S8) 1997; transistor 2000; r4 2000; Grainbits 2001; staubsaugerpinkblendton 2001; take the bus 2002; JET 2003; MAZY - how do you want m" 2003; Giuliana 64:03 2003; tucker 2004, tester 2005, the head of vitus bering 2005; swinging 2006; la petite illusion 2006 speech 2009 In her experimental video speech, Michaela Schwentner has taken up the invitation by French musician Paul Clouvel to illustrate his composition of the same name. Michaela Schwentner trenchantly aestheticizes Paul Clouvel’s soundscape, for which, among other things, he deconstructs the language of contemporary artist Joël Frémiot. speech thereby emerges as a multiply overwritten communication process among artists from various disciplines. Like a choreographer, the video artist Schwentner carries out the visual metamorphosis of a standard dance, which begins from something unrecognizable. On the sound track, electro-acoustic processes and intense fragmentation render a text spoken by a dominant male narrating voice increasingly vehement. Schwentner subtly counteracts the sound with soft, abstract bodies pulsating as though ghostly creatures and pink flames on the picture surface. A painterly poetics surrounds Schwentner’s digital structure, which one credits to her intuitive female sensibility. The visual particles, which are constantly subjected to transformations and shifts in rhythm, actually emerge as the trunk and legs of a dancing woman. Half of a dance partner then joins in. Schwentner deconstructs her original material once again—an insert of Ginger and Fred in the eponymous film by Fellini. The image, which has been alienated by video effects, has a groove to it. The dress swings, transforms, and discloses anew the glory of concise reduction. With speech, Michaela Schwentner continues her clear and independent vision of abstraction. Joe Hiscott Canada Joe Hiscott is a self-taught artist and filmmaker who has been producing internationally acclaimed works since 2000. From documenting a blind nomad across India, to farming in Brazil, to filming and performing in front of stock exchanges around the world, Joe"s unusual experiences have contributed greatly to his exhaustive observations of the "global mind". His current explorations lie in the realm of human perception and its role in creating meaning, spanning all languages and cultural contexts. Joe"s work has been recognized Internationally for both stage and screen, namely the Short Film Festival of Oberhausen, ExiS Experimental Film Festival in Seoul and Festival du Film sur L"Art Montréal. He has been awarded Best Experimental Film at the Winnipeg International Film Festival, "New Award" at the Corto Short Film Festival in Porto, Best Short Film at the Grand River Film Festival and "Best Editing" at Mostramundo Moving Image Festival in Recife. He resides in a Québec rural village when he"s not somewhere else. The Telephone Eulogies 2008 The Telephone Eulogies, is a living experiment on film that combines a children"s game of broken telephone, a self-penned eulogy and a trans-cultural cast of translators, performers and language enthusiasts. The film follows the eulogic narrative as it snakes its way through 12 languages and 21 translations, ultimately shedding layers of the original message as it is transformed by miscommunication, misunderstanding, misperception and misnomer. Ultimately, the message suffers a slow death by interpretation while continually giving birth to new possible meanings. Marina Fomenko Russia/Russian 2005 - graduated from "Independent Workshops" School of Contemporary Art of Moscow Museum of Modern Art. Selected projects: 2009: - international exhibition "Before and After", gallery OST, Moscow, Russia; 2008: - The V th International festival of audio-visual arts "Videologia", Volgograd, Russia; - festival " Spring will finish in August", gallery OST, Moscow, Russia; - 7th street videofestival "Pusto", Moscow,Russia; - One Minute Film & Video Festival, Aarau, Switzerland; - 1st Moscow Biennale of Young Art , Moscow, Russia; - Media Forum of 30th Moscow International Film Festival, Moscow, Russia; - 5th Naoussa International Short Film & Video Festival, Naoussa, Greece; 2007: - The 3rd China Songzhuang Culture & Art Festival, Beijing, China; -- international festival "Space", Moscow Museum of Modern Art, Moscow,Russia; - international festival "Genio fiorentino", Florence, Italy; - 4th Naoussa International Short Film & Video Festival, Naoussa, Greece; - solo exhibition: videoinstallation "Elements of memory", Moscow Museum of Modern Art; - international festival "Adaptation", Center for Contemporary Arts "M"ARS", Moscow,Russia; 2006: -international festival "Dante: Art Gives Birth to Art", Florence, Italy; -3-d international video-art festival in public spaces "OUTVIDEO-2006", Russia; -international festival "Power", Moscow Museum of Modern Art, Moscow,Russia (a diploma); -international festival "Non Stop Media", Kharkov City Art Gallery, Kharkov, Ukraine; 2005: -project "Divine Comedy", Dante Museum, Florence, Italy; -international festival "Stop! Who is coming"", National Center for Contemporary Art, Moscow, Russia; Snow in Beijing 2007-2008 If you wished it, Beijing would turn white to show you moving pictures of the amazing city. Viktoria Svanbäck Finland I begun my art studies in 2004 at the Swedish Vocational Institute in Nykarleby, Finland. And then I have continued my studies in Fine Art at Novia University of Applied Sciences, Nykarleby, Finland. Holes 2009 The Video work is inspired by a performance i did in december 2008, where i have been thinking about gender. What are the differences" What are my experiences" I don`t want to make a statment just ask questions. Nick Ferguson British Nick Ferguson is a PhD research candidate in the department of Fine Art at Goldsmiths College. He teaches at Kingston University. Richard Beard teaches at The University of the Arts. The artists have exhibited widely in the UK and in Poland. They have been collaborating for 3 years and are based in London. Remote Areas of Force 2009 For this video Donald Judd's Untitled,1985 was reconstructed from a catalogue image and then carried up Mount Snowdon in Wales. The title of the work borrows a phrase from Robert Smithson's essay Donald Judd in which he compares Judd's constructions to geological forms and asserts in them the primacy of matter over space or motion. Maria Korporal Italy Maria Korporal was born 1962 in Sliedrecht, the Netherlands. She studied graphics and painting at the St. Joost Academy of Fine Arts in Breda. During her studies she began working with photography and she graduated with a video installation. After her studies, in 1986, she moved to Italy, where she returned to painting. In 1989 she co-founded the Italian publishing house Apeiron, directing the production and book design. In this environment she became involved with the use of computers, and she began applying digital techniques also in her art work. Since 1998 she has dedicated herself to using the new media arts for her expression. Selected exhibitions and presentations of the last two years 2008 - "Pantheon Xperimental", Cyprus. 2008 - "Instants Vidéo", Martigues, France. 2008 - "Esporsi", Terni, Italy. 2008 - "Festival Miden", Kalamata, Greece. 2008 - "Unabhängiges Medienfestival", Tübingen, Germany. 2008 - "Audiovisiva 5.0", a Zweiart presentation, festival Audiovisiva 5.0, Milan 2007 - "Interferenze", Festival arti visive Kaibakh, Castione della Presolana, Italy 2006/7 - "The Brain Project", Acquamarina, Trieste 2006 - "Altre visioni: Libert" Politica Territorio", Padiglione del Venezuale, Biennale dell'Architettura di Venezia, with com.plot S.Y.S.tem 2006 - "Timelines", FotoGrafia Festival Internazionale di Roma Passing By 2008 The video opens with a shot of a crowd of people engrossed in the Saturday afternoon shopping ritual in Via del Corso in Rome. Movement and noise begin to speed up before dissolving into a blurred whole with indistinct sounds. This is the background before which the second scene unfolds: a kind of parallel universe, of animals " a few monkeys, a giraffe, a tortoise " attending to their daily activities of feeding and grooming themselves, or of simply looking around. The atmosphere is calm and pleasant. The crowd of shoppers is just a silent, abstract backdrop now but intrudes in a number of shots through annoying fragmented images and sound clips as a few till receipts flutter slowly to the ground. A wise, unruffled tortoise walks slowly among the crumbled pieces of paper that are scattered on the ground. However, the peaceful mood is disturbed by the harsh sound of a car horn. The relentless coming and going of passing motor vehicles obliterates everything. Devis Venturelli Italy Devis Venturelli (1974). He has studied a l"Ecolle d"architecture et du paysage de Bordeaux; he"s graduated in Architecture at Ferrara University; workshop at ZKM Karlshrue. His artistic work crossing different disciplines: he produce film, video and performance, he design art exhibition and architectural work. The videos of his last researches illustrates a group of temporary trasformations of the urban environment. His film was screening in Italian TV (La7), international film festival (Videoformes, Invideo, Beyond media) and showed in art galleries and museums (Galleria civica di Trento, Galleria nazionale d'arte moderna Roma, Museo della Scienza, Milano). Lives and work in Milano. Continuum 2008 The video Continuum illustrates temporary trasformations of a body in the urban environment. The body's movement institutes the time-space of the carring out of the architectural matrix. The artist's performances have their place in the building sites and find expressions in the invention of frameworks carefully constructed. In time, they be get mobile, transformative structures, wich walk or breathe, offering the opportunity to get to the bottom of the problematical and informal dimension of the way architecture. Mobile architecture answers to the constitutive contrast of any town between rigidity and fluidity, between immobility and longed-for nomadism: an urban project in which the object create a new topography. Ricardo Nascimento Austria Ricardo Nascimento,1977. He works as artist, multimedia developer and producer. Graduated in International Relations by PUC - SP (www.pucsp.br) and Multimedia Design by Art Center SENAC - SP (www.sp.senac.br) since 2006 he is a regular master student at Kunstuniversität Linz at the Interface Culture Department (www.interface.ufg.ac.at/interface). He investigates body-environment relations focusing interface development and autonomous adaptative systems for interactive installations and hybrid environments. He participated in many festivals and exhibitions in Europe, Asia and America. Authority 2007 The project is an interactive video installation where, inside a small dark room, you face a policeman in the same proportion that you are thus; you are in the same level of power. Them he starts to speak with you and asking the reason that you are there, making a lot of question using its pseudo power and so on. If you do not say anything the policeman becomes bigger and bigger. This will continues until you start to say something. According the volume of your voice the policeman size start to diminish. In this way the power relation is equalized by the decibels. Andrzej / Maciej Wojtas / Miskiewicz Polska stigingeoy uses no_input mixer, 3 turntables and prepared vinyls with classical music to remind that today's youth has lost respect for cleverness and wisdom associated with being old through gathered knowledge and experience. Instead of it, today's counterculture sold out their souls to commodities which are more or less just flickering tools of all-embracing emptiness. Pussykrew-anti vj crew, where every rules of vj world are broken. with content hard to swallow, with not so pleasant look, destroying club culture from inside. Full of rage and passion with others minds in possession like riders of the apocalypse. Pussykrew-anti vj crew poszerzenie pola walki 2008 Audiovisual performance which is the essence of anti-dj and anti-vj outrage against present counterculture which as self-obsessed has sold out all the ideals belonged to prior countercultures, exchanging them to conformism, faux individuality, cultural capital. Drifting from Avant Pop at the same time having Video Art as a background PussyKrew is constantly moving into a Visual Field Recording, leaving behind what is now, a hell of recycled found footage. In opposition to the hedonistic club culture their footage is raw and not so eye candy as many would like.PussyKrew has just grown up, changed their approach to more social responsible. In world where resistance is not possible, while system tolerates everyone and everything, together with stigingeoy they try through emotional sabotage to make people uncomfortable with their lack of self consciousness and blind obedience. pietro mele italy Pietro Mele was born on August 13, 1976, in Alghero (I). He lives and works in Sardinia (I), Milan (I) and Berlin (D). Education 1997-2001: Academy of Fine Arts, Florence (I). ottana 2008 It is dawn. A caravan of men on horseback is slowly swallowed by a factory poisons. This video was set in Sardinia (I), and is a reflection on the impact of the industrial pole of Ottana (1960, in "the green heart of the island") had on the surrounding area, both environmentally and in social point of view (and consequently anthropological). Ottana is the name of a small village near the factory. Many inhabitants die of cancer every year and most people have abandoned their usual jobs related to agriculture and pastoralism. huang hsin-chien taiwan Hsin-Chien Huang is a content creator who is fluent with both digital technology and traditional art. He graduated from National Taiwan University"s mechanical engineering department, then got his bachelor of art in Art Center College of design in Pasadena. He acquired his master of science in Institute of design in Illinois Institute of Technology, Chicago. He had collaborated with media artist Laurie Anderson with her first interactive CDROM "Puppet Motel". He also had experience to work with computer entertainment companies like Sega and Sony as art director. After he returned to Taiwan in 2001, he established Storynest, a team of creative people to support his art creation. Hsin-Chien was the artist in residence for Chinese Culture University. Currently he is a devoted artist and also teaching at several universities on interactive media. Shall We Dance, Shanghai" 2008.9 Huang Hsinchien"s work, Shanghai, Shall We Dance" tells a story in the public space of the Shanghai Museum of Art by turning an art hall into a place of relaxation and romantic dancing for ordinary people. Viewers are invited onto a typical Shanghainese dance floor for a spontaneous dance. The interactive nature of the work turns images of foreboding highrise buildings into images of visitors dancing together. The appearance of the buildings changes with the dancers body movements. City residents are used to urban space being segmented by buildings. However, this perception is questioned and inverted in this work, which guides viewers to rethink the nature of urban space and its causal relationship with their own actions from their own individual perspectives. Monsieur Moo French monsieur Moo"s work is based on collaborations with others plasticiens, dancers, musicians and even artisanals parctices. monsieur Moo attemtps through these collisions to provocate interferences, conflicts between his own univers and the one he connects with. The result of these confrontation is set up and video recorded. Rising from chimeric atmosphere, these sequences are generaly distorded by the concrete aspect in wich they are displayed. The codes -either social, urban, cinematographic or mytholigical- are telescoped. These severals interferences give birth to the nonsense poetry, in opposition with any moral or didactical intensions. This works set the audience in front of its outragious, absurd and fantastic everyday life reflect. In between incongruous and onirical univers. Cast Away 2008 Naufrage is the title of a double project including sculpture, video and performance : a 7 minutes long video : shot ofshore, this vidéo show a man and a woman casted away on board of a life raft made out of hydric ice. This raft is them only survival mean. Around them the sea and teh sky are netral enough to purify as much as possible the situation. The life raft, under the burnning sunn, will slowly melt then the drowning is inescapable. The vidéo will be composed by underwater and aérial sequences. Przemek Węgrzyn Polska Przemek Węgrzyn (ur. w 1977) zajmuje się malarstwem i sztuką video. Jest absolwentem Akademii Sztuk Pięknych we Wrocławiu. Mieszka i pracuje we Wrocławiu. 11.11 2007 Video sfilmowane w dniu polskiego święta niepodległości. Obserwowany zza szyby samochodu listopadowy krajobraz jest scenerią dla słyszanego w tle okolicznościowego przemówienia prezydenta. Propagandowy tekst na tle ponurej i depresyjnej pogody ujawnia swoją absurdalność i nieadekwatność. Inspiracją dla stworzenia pracy było prawdziwe wydarzenie. Johanna Reich Germany Born in Minden, Westphalia; Germany "Studied at the Academy of Fine Arts Muenster and Hamburg 2007"Diploma"Postgraduate studies at the Academy of Media Arts Cologne Johanna Reich currently lives and works in Barcelona, Spain and Cologne, Germany. Awards & stipends 2007"artist-in-residence, DAAD, Barcelona, Spain"Premi d´art digital, Spain Exellence Prize, Japan Media Arts Festival 2006" "Nam June Paik Award Förderpreis, Cologne"artist-in-residence, Pépini"res européennes pour jeunes artistes, CCRN, Abbaye de Neumünster, Luxemburg"travel grant, DAAD, desert expedition, California, Utah, Nevada, USA Exhibitions (selection) 2009""Höhepunkte der KunstFilmBiennale in Paris", Centre Pompidou, France"Art Cologne, Cologne, Germany 2008"Taiwan International Video Art Exhibition, Hong Gah Museum, Taiwan"Mediations Biennale, Poznan, Poland"Nam June Paik Award Ausstellung, Wallraf-Richartz Museum Cologne, Germany"Dislocate, ZAIM, Yokohama, Japan "10th International Istanbul Biennial, Nightcomers, Istanbul, Turkey"SIGGRAPH, Art Gallery, Global Eyes Programm, San Diego, USA"Japan Media Arts Festival, Tokyo Metropolitan Museum of Photography 2006"selfportrait, Casoria Contemporary Art Museum Naples, Italien"Art Tech Media 2006, Museo Nacional Centro de Arte Reina Sofía, Madrid, Spanien 2004 "freundschaftsspiel, Dolmabahce-Serail Museum, Istanbul, Türkei Cassandra 2008 Found footage from Fritz Langs film "Dr. Mabuse, der Spieler", 1920/21 Sculpting skin. Carving the projection surface reminds of sculptors work being at the same time sculptor and sculpture. Nouchka and Alexander Wolf Germany/Austria and Germany Nouchka Wolf, born 1982 in Vienna, Austria, started studying philosophy and art history in Vienna but turned to the faculty of fine arts at UdK Berlin in 2005. 2006 Class Leiko Ikemura. Since 2007 collaboration with Alexander Wolf who at that time still bears his birth name, born 1975 in Krefeld. A. studied Fine Arts at the Royal Academy of Fine Arts, Antwerpen, Belgium, but finished religious and cultural studies in Berlin in 2005. 2008 N. & A. stay at the School of Visual Arts in New York City and organize their first exhibition. After their return, N. joins the class of Thomas Zipp at the UdK, A. takes part as permanent guest. Crush! 2008 Egg Bashing of mating penguins: Above the viewer our two heads lean together in a large format. In front of the neutral setting of a bluescreen we unsteady strike out and strike together. Byun jaekyu south korea Experimental filmmaker.Kyoto-seika university Ph.D program major in Video and Media Art. Screening 2006 EXIS,Nemaf,BACA-JA 2007 EMAF,WRO 07 2008 EXIS,Busan international video Festival the another vanishing point 2008 Byun explores the disappearance and creation of spaces through continuous movement. The principle of perspective is seen as a vanishing point. In this work, vanishing points of photos are moved to one vanishing point in the frame of the video. Similarly, a landscape's multiple points of view are conveyed as a 360-degree globe form of time and space. milica, vladimir lapcevic, sojat serbia milica lapcevic, born in belgrade. finished studies of painting in belgrade and new media at konsthogskolan in stockholm, sweden. founding member of artterror film and video production and xtended.mind project. works as independent artist and art critic. vladimir sojat, born in belgrade. finished studies at dramatic arts institute in belgrade. founding member of artterror film and video production and xtended.mind project. works as independant artist and film and video editor. within artterror, milica lapcevic and vladimir sojat participated on following events: Stockholm Film Festival 1992. (Special mention), Gothenburg Film Festival (1993. and 1994.) Paris Biennial (BIFA V and BIFA VI 1996. and 1998. ), Bienalle of Young Artists in Vrsac (1996. ), Moskow Film Festival (Golden Knight Award 1997. ), Visible-invisible, Thessalonikki (1997. ), Stop the violence project (Vienna 1999. ), Transeuropicnic Novi Sad (2004. ), On normality, Museum of Contemporary Art (2005. ), Mapping right wing extremism, Novi Sad (2006), Differentiated neighbourhoods of New Belgrade, Museum of Contemporary Art, Belgrade (2008). important video festivals: Alternative Film-Video 1989, Monitor Gothenburg 1993. and 1994, Kitchen, New York, U.S.A. (Surwey of Nordic media 1993. ), Vigo, Milano, Dessau " Germany (Ostranenie 1997. ), London (Raindance 1999. ), WRO media art biennale, Wroclaw " Poland (1999. and 2001. ), Florence " Italy (iMage 2000. and 2002.) and Novi Sad, Video medeja (2002. - Award Sphynx), ATA San Francisco, Pasadena Museum of California Art and Landmark Bergen (2007), Athens Video Festival - Greece (2008), Videoformes, Clermont-Ferrand (2009.). Acquisitions for Heure exquise! France and SVT2 Swedish TV, Retrospective in Museum of Yugoslav Cinematheque 2000. trinity rgb 2008 A practical requirement for creator of every transformation system (either the one that is applied to programme or to particular being) is capacity to process the source code of the programming language of application to the level of transformative power. For many languages, the problem of building an adequate front end (part of a system that interacts directly with the viewer) for the transformation tool may overshadow invention itself, or entire work on its development. Semantic mapping which is the basis of the idea of this video features well known principles of contact with meta-data registry, search for synonyms, but also develops even further " creating a code generation of the video signal itself. From this point on, semantic and syntax processing develops in two different directions " one partially retrieving the code and creating numerically new structural generation, and the other " keeping the code reduced to primary sequences. Marina CHERNIKOVA Netherlands / Dutch Multimedia artist living in Amsterdam and Moscow. She holds an MFA in painting from Moscow State Fine Art Academy and Media Master of Arts from HKU, Netherlands. Presently she is developing a new series of photographical and video works based on the exploration of the dynamical visual structures of megalopolises of various cultural traditions and memory as a dynamic process of a product of human consciousness. She took part in numerous festivals and exhibitions as VIPER in Basel, Rencontres Internationales Paris-Berlin, Kandinsky Prize Moscow, Visionaria Siena, KATOPTRON 2 Moscow Biennale. URBAN SURFING 2007 This work confronts the spectator with a new contemporary vision of city and widens the borders of psychological perception of urban environment and its artistic representation as well. It is an attempt to translate perceived energy from the city into an energized perception of the city. Video fragments from Moscow, Tokyo and Paris are united into one powerful stream. By the force of gravitation as it were, the images overlap, rescale, regroup, disintegrate into separate parts and establish new formations. The initially continuous, almost meditative movement is covered by an enormous wave of images that invades the entire surface of the screen. Just as a wave, the stream of images is scattered into tiny fragments. Recognizable and logical architectural elements are transformed into abstract structures. Just as accelerated navigation through a cityscape leaves only time for the associative scanning of striking details and landmarks linked with it. The cycle repeats itself with a new series of images. As a result the generally accepted concept of a city as a clearly structured architectural ensemble gives way to a dynamic, fragmentary and individual perception of the urban environment. David Muth UK / Austria David Muth is a London based artist, musician and programmer. Having grown up in Salzburg, Austria, he relocated to the UK to study at Middlesex University, where he received an MA in Digital Arts. His artistic practice combines conceptual and experimental approaches and is informed by his background in architecture. His projects range from installations and responsive environments, through video and experimental documentary, to composition and performance of music. Muth"s work has been shown on numerous occasions internationally, with venues and events including the Musée d"Art Contemporain in Montreal, the Kiasma Museum of Modern Art in Helsinki, Ars Electronica in Linz, ISEA2006 in San Jose, Le Cube in Paris and Laboral in Gijón. He also teaches at Goldsmiths and the Royal College of Art. Up And Down 2008 The animation "Up And Down" visualises an electroacoustic composition by British sound artist Kaffe Matthews " specially developed algorithms generated the imagery. SPAM the musical SPAM the musical this is a collaboration of 16 anonymous international artists We are and we want to stay anonymous. SPAM the musical - THE LONELY GIRLS 2008 Based on the texts of email-spam, collected over two years, "SPAM the musical" is about make-believe and truth, hope and betrayal. It stretches genre limits and plays with preconceptions of the viewer"s mind. The video is divided into two parts. The first part is an ironic, luring interpretation of a specific email spam. It serves as a "trojan horse" for the second part, "deleted scene". This "deleted scene" turns the entertainment around, creating an image of reality that looks behind the scenes and works like a cold shower compared to the first part. #1 THE LONELY GIRLS (4:39) is based on three emails by a Russian, Polish and African girl that are looking for a boyfriend. Imagine a teenage sleepover of three competing girls vying for our attention. The deleted scene shows the mere leftovers of a woman, a puppet on a string, moved by anonymous male hands, forcing her to sing a warped version of a rock song. Jan Dybała Polska Jan Dybała (JD Video) Urodzony 1985 roku w Katowicach. Student V roku Akademii Sztuk Pięknych, na wydziale artystycznym. Zajmuje się różnymi formami grafiki i malarstwem, "a jako "JD Video" multimediami, głównie w zakresie wizualizacji i eksperymentów audio-wizualnych. W duecie Chine vs. JD Video, solo i jako vj w zespole RGBoy wystąpił na kilkunastu koncertach i imprezach m.in. : OFF Festiwal 2007, Festiwal "Nowamuzyka" 2008, Fesiwal Vivisesja 2008, cykl wystaw Pracowni Technik Cyfrowych ASP Katowice "Dialog z Cyfrowym Cieniem", cykl imprez Elektronik Zoo w katowickim klubie Elektro. VRGB - 13x18 giddelay 2009 Praca "13x18 griddelay" to kompozycja skomponowana z graficzno-dźwiękowych sampli stworzonych według mojego autorskiego systemu o nazwie VRGB (vector,raster,gif,binary). Przez ostatnie 2 lata w Pracowni Technik Cyfrowych i Intermediów Katowickiej ASP system VRGB był moją platformą do eksperymentów opartych na zasadach muzyki wizualnej gdzie obraz i dźwięk powstają jednocześnie jako nierozerwalna całość. Celem tych eksperymentów było stworzenie materiału i sposobu odtwarzania, który dawałby możliwość swobodnej improwizacji wymykającej się z konwencjonalnych form pokazów audio-wizualnych. Sebastian Burdach Germany Sebastian Burdach, * 1974 in Hamburg. Grew up in Munich. Studied Visuelle Kommunikation at HFBK Hamburg. Works and lives in Hamburg. Videos, Texts, Media-Collage. To camp, to swim, to make fire 2007 Spoken fragments of environmental protection laws - the forbidden actions in nature - are being combined with pictures of some landscapes, to which they apply. The camera glides through the "wild" nature, which can only exist through these laws, and thereby becomes artificial, like a museum. Kurt d' Haeseleer BE . Rock 2007 Underneath a water surface or in an underwater world, we can see people floating. They could be a concert audience; listeners to music by TUK perhaps, for which Rock serves as a music video. But they are lying still, floating, beyond their earthly existence. Mesmerizing noise accompanies them through a channel of a pixel-infected nature that swallows them up and spits them out in a parallel universe where an artificial landscape of rocks and stones unfolds along a sea. In the worlds of Rock, it is impossible to distinguish digital from analogue, virtual from real, natural from artificial. Jan van Neunen NL Jan van Neunen born in 1978. Education: art academy st.Joost Breda, Netherlands. Audio-visual design (1997-2002) Van Nuenen makes short, experimental animation video’s, (interactive) video installations and software. Main theme of his work is the relationship between humans, nature and technology. His animation works are mainly collages of found footage photography which is cut-up, combined and distorted so it creates a complex world without referring to the original meaning. The animations are mainly driven by computer code. In his more recent installation works, he’s researching the possibilities of real-time computer simulations projected onto the real world. His work is shown at international media and film festivals, galleries and musea. Evolizer 2007 Black and white figures are moving around in a futurist city. One of the figures, carrying a mystic box, leads you inside a building. The box opens and begins to reveal its own laws of physics. Basic elements begins to modulate spontaneously creating more and more complex organic species. There’s a violent struggle for life. Who is the fittest? Nina Tommasi Austria I am an artist (studied digital art and architecture) and working in the field of robotic, soundinstallations, digital art- installation with biological content, and as an architect in an experimental field which I combinate with digital art if necessary; Education: University of Applied Arts, Vienna Digital Art at Prof. Peter Weibel, Prof. Tom Fürstner and Prof. Virgil Widrich, Vienna, Austria, 2003-2007 http://www.digitalekunst.ac.at/ University of Innsbruck Architecture, Innsbruck, Austria,1999-2004 http://www.exarch.at/ http://www.exarch.at/ University of Technology Arlington Architecture, Texas, USA, 1998-1999 http://www.uta.edu/gradcatalog/architecture http://www.uta.edu/gradcatalog/architecture University of Vienna, TU Wien Architecture, Vienna, Austria, 1996-1998 http://arch.tuwien.ac.at/fakultaet/aktuelles http://arch.tuwien.ac.at/fakultaet/aktuelles telline o7 interface >she sells sea shells< 2008 The basic element of this installation are small sea shells( kinematic objects). Beeing connected with electric motoric which is controlled by the movement of the visitor via light sensor. The Telline shells are build into a construction for opening and closing after a algorythmic system as they do in nature at the seashore. The major goal of this work was to create a fragile grainbased room installation which shoud establish an ambiguity and resonate to the always changing algorithmic structure of the sea and moving people structure in the area around the objects. Istvan Kantor Canada Istvan Kantor, recepient of the 2004 Governor General's Award for Visual and Media Arts, also known as Monty Cantsin, the founder of Neoism, is an action based media artist/subvertainer/producer, active in many fields, performance, robotics, mixed-media, installation, painting, sound, music, video and new media. His main subjects are the decay of technology and the struggle of the individual in technological society. His work has been described by the media as intellectually rebellious, anti-authoritarian, as well as technically innovative and highly experimental. His radically changing creative ambitions are always related to his living environment and social situation. He has been arrested and jailed many times for his blood-x interventions in museums. Kantor was born in Budapest where he studied medical science. In 1976, at age 26, he defected to Paris and from there immigrated to Montreal. He also lived in Portland, New York, Berlin and presently is a resident of Toronto where his children, Jericho, Babylon and Nineveh were born in the 90"s. Besides his individual work he is bandleader/singer of the Red ArmBand, founder-member of MachineSexActionGroup and Kantor Family Circus. 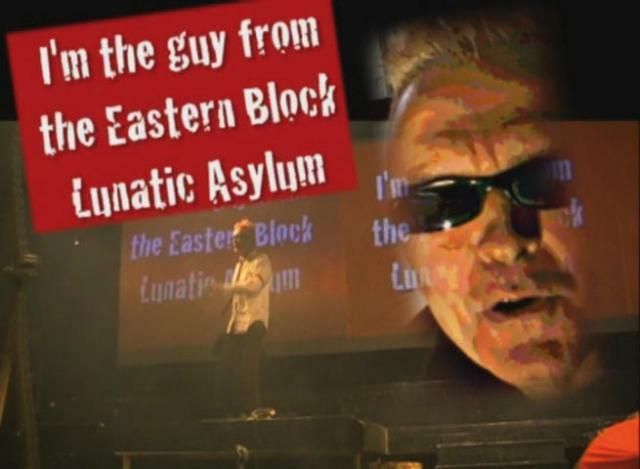 same 2008 In this autobiographical semifiction director/performer/artist and ardent activist, Istvan Kantor, testifies his lifelong socio-political resistance. Kantor"s engaging and always ironic, neo-Brechtian musical comedy takes us to a noisy, dusty and stinky industrial neighborhood where a conflict in progress takes over the streets due to the invading developers. Exploring the form of the operetta, Kantor tells his story through the lyrics of his own songs mixed with the spoken words of a narrator. Living in a small industrial area dominated by factories, a local neighborhood activist is trying to fight the ever growing army of developers and save the neighborhood from gentrification. His militant gang marches through the streets with flags and signs promoting the idea that such sensory effect like bad smell and health hazard like dust can keep the developers away. Kantor"s inclusion of the song in his videos as a main component is almost iconic and adds a popular character to the works. The entertaining formal solution is enhanced by Kantor"s black humour and his intellectually spiced anarcho-poetical commentary on the Rentagon and Broadcast Imperialism. Produced with the assistance of the Ontario Arts Council. Ge-Suk Yeo Germany / Korea Ge-Suk Yeo is a singer, electro-acoustic musician, composer, visual and video artist and works in Hamburg, Germany and Seoul, Korea. She studied classical music and singing in Korea at the Seoul National University and got a Diploma at the Hochschule der Künste HdK in Berlin, Germany. After studying at the University she learned several years 'Belcanto' in Berlin and in Milano. As a lyric-dramatic soprano she is a novelty in the fields of electro-acoustic music and media art, areas she extends to the point of contemporary music. Her compositions and ideas for sound she notes as sound-calligraphies. In her live performances Ge-Suk Yeo combines from various parts of her artwork. Time Sculptures 2008 Time Sculptures is an audiovisual performance by he Korean vocalist and audiovisual artist Ge- Suk Yeo. Time Sculptures is based on a series of electro-acoustic compositions. Time Sculptures are basically about the phenomena of time we all experience at different speed. This is expressed through various rhythms which plays and overlaps at the same time. The rhythms get joined by other sound layers - different in character in every Time Sculptures episode. - The slowly moving visuals drawing simple white light on black background are based on sound calligraphies, which use very simple lines, points and focuses on the empty space in between. The video animation is ment to be presented at Ge-Suk Yeo's audiovisual live performances. AURÉLIE SEMENT France My video art reveals a fascination for what goes on behind the scenes. It brings to light the importance and the variety of places, which have a limited access. They represent consumer society and are very rarely shown in visual media. These places, unseen by the outside world, shelter devalued and repetitive activities that provoke impressions of unreality. What goes on behind the scenes is not only filmed because of its documentary and social worth but also for its intrinsic value. It is an autonomous form of architecture with its own artistic and graphic quality and its way of putting volumes into perspective. The discrepancy and detachment of the still shots are not the consequences of a critical judgement. On the contrary, they lay the foundations for an aesthetic, which is faithful to the geometrical layout of these industrial sites. This restrictive setting reflects the repetition of the represented actions. The movements of the machines and of the workers mirror each other, thus producing a harmonious choreography. There is no longer any progress or aim : the repetition of the video means there is no escape from the never-ending cycle of time. WIND TURBINES 2008 In this video, what goes on behind the scenes turns into a monument. Wind turbines" blades have inherited regular, monotonous and hypnotic movements from industrial mechanisms. However their gigantic size makes a considerable difference. On the building site where they are being put together, man"s presence goes almost unnoticed. The perfect geometry of the various parts catches the eye, as though it was witnessing the making of a giant sculpture, dominating the landscape. Mariusz Sołtysik Polska 1985"1991 studia w ASP w Łodzi. 1991"1992 studia w L'Ecole des Arts Plastiques et Visueles de l'Etat w Mons, Belgia. Zajmuję się twórczością w obębie nowych mediów nie rezygnując jednak z rysunku i malarstwa. wybrane wystawy: " "In Limbo", Broadcast Gallery, Dublin, 2009; " "The CamouFLASHed Mediations", Mediations Biennale " Stara Drukarnia, Poznan; 2008; " "FestArte" " videoart competition, Rome, Italy, 2008; " "Signale", Drezno, Niemcy, 2007; " "Terminal " video-intervention", Manorhamilton, Ireland, 2007; "ARTour " Chateau", La Biennale d"art contanporaine , La Louviere, Belgia, 2007; " "Athens Video Art Festival", Ateny, Grecja, 2007; " "exTENSIONS" " Leitrim Sculpture Centre, Manorhamilton, Irlandia, 2006; "Sens in Place", Reykjavik Arts Festival, Reykjavik, Islandia, 2006; " "Simultan 02", Experimental video/ sound festival, Timisoara, Rumunia, 2006; " "W czterech ścianach", Lodz Biennale, 2004; " "Artfront/Waterfront " " Newhouse Gallery, New York, USA, 2002; " "Rooms (not)present", Galeria Wschodnia, Lódz, 2002; " "Intimate space", Galeria Kont, Lublin, 2002; " "Continuum", Innerspaces, Poznań, 2001; " "Model to make", CRP, Orońsko, 2000; " "Endroit touché", Sielska Gallery, Strasbourg, France, 1999 Vague Astronaut or How to Get lost... 2009 Praca ta składa się z filmu wideo oraz obiektu rzeźbiarskiego. Projekcja jest rzucana na podłogę sugerując wpadające światło do pomieszczenia. "Niewyraźny Astronauta albo jak się zgubić (w kosmosie)" to postać tragiczna, samotnie patrząca w dal, niebo, mówiąca z niepokojem o swoim zagubieniu. To nawiązanie do kondycji naszej cywilizacji i to nie tylko podczas globalnego kryzysu czy aspektów wiary i nauki. Tak jak człowiek obecnie, postać ta jest półprzeźroczysta, niewyraźna, niejasna, okaleczona, oczekująca... W pracy wideo pokazuję przechodzących, obojętnych ludzi. Zwracam także uwagę na czas. Zwolnione i rozszczepione zdjęcia sugerują nieznany nam w gruncie rzeczy kierunek czasu. Czas jako element, na który mamy wpływ jedynie wirtualnie. Przemysław Badziąg Polska Autorami metody Tutturu sa Przemysław Badziąg oraz Daniel Muzyczuk. Tutturu 2008 Tutturu jest metodą autonomicznej publikacji mediów w formie zdecntralizowanej sieci, opiera sie na subskrypcji oraz sieci bittorrent. Katarzyna Krakowiak Polska Doświadczenie zawodowe: 2004-2007 asystentka prof. Mirosława Bałki w Pracowni Rzeźby na Akademii Sztuk Pięknych w Poznaniu 2005-2007 prowadzi Pracownię Rysunku w Fundacji "Enter" w Poznaniu Od 2006r. współtworzy interdyscyplinarną grupę Ashaver220 2007/ 2008 architekt wystawy Scenografii M. Szczęśniak La Bellone, Bruksela 2007/ rezydencja w Tel Awiwie w ramach Polskiego Roku w Izraelu 2006/ rezydencja w Space Gallery w Bratysławie, Słowacja 2007 Stypendium Ministra Kultury Edukacja: 2006 dyplom z wyróżnieniem z Zakresu Rzęźby i Grafiki na ASP w Poznaniu Nadchodzące projekty: 2009 marzec rezydencja, wystawa w The Israeli Center for Digital Art, Izrael rezydencja w 18th Street Arts Center w Santa Monica, USA Projekt Solidarność ,Transit ,Budapeszt ON Poznań, Wystawy grupowe: 2008 "Nie ma sorry" Muzeum Sztuki Nowoczesnej, Warszawa "BankovZone"2013 Koszyce, Słowacja "The Games&Theory" SouthLondonGallery, Londyn, Wielka Brytania 2007 " PRZECIAG" Szczecin "Ashaver220/Rampa" Warszawa "Polis" Valentina Moncada, Rzym, Włochy "Tu zaszła zmiana", Kordegarda, Warszawa 2006 wystawa finalistów konkursu im. M. Dokowicz, ASPPoznan " Ulica Próżna/ Spinacz", "Ashaver220" Warszawa "Plastic People", C2C ,Praga, Czechy 2005 "Dirty Bomb" Stary Browar, Poznań 2004 "Przestrzenie rysunku", Galeria u Jezuitów, Poznań 2003 "Czytanie przestrzeni" Plastyfikatory, Luboń Solo: 2008 "RadioRowerowe" Warszawa 2006 "Mumijo" Space Gallery, Bratyslawa, Słowacja 2006 wystawa dyplomowa, ul. Wszystkich Świętych, Poznań 2006 "Summer Show", ETC Gallery, Praga, Czechy 2002 "Aktywne" Galeria Rotunda, Poznań 20 kHz 2008/2009 Mobilny nadajnik radiowy FM nadaje na kilku częstotliwościach jednocześnie w zasięgu od 9 m (szerokość ulicy) . Audycja jest skierowana do osób, które utknęły w korkach. Nadajnik zainstalowany jest na rowerze. Jako, że większość kierowców ma włączone radio, za pomocą nadajnika mogę zająć słuchaną przez nich częstotliwość i nadać moją transmisje. Ze względu na mobilną transmisje i niewielki zasięg, każda interwencja trwa ok. pół minuty. Forma projektu zwróci uwagę na sytuację wymuszonego bezruchu, w jakiej znajdujemy się nie tylko jako kierowcy samochodów. "Rowerowe Radio? próbuje zawalczyć o czas "uwięzionych". Do tej pory Radio nadawało: - MSN Warszawa: centrum Warszawy, treść audycji dotyczyła tematu ochrony nieba przed sztucznym oświetleniem i hałasem. - DAL Holon: audycja/ dźwięki powstałe na podstawie wibracji ziemi /muru, po wybuchu bomb w trakcie ostatniej interwencji w Strefie Gazy. Pierwszy etap pracy pomiarowej- korzystanie z badań z okresu stycznia 2009- ostatnia interwencja izraelskich sił zbrojnych w Strefie Gazy. Wybuchy bomb mają silny wpływ na obraz sejsmiczny ziemi. Wykorzystuje schemat obrazujący częstotliwości drgań powstałe po wybuchu bomby. Na podstawie obrazu drgań przygotowuje dźwięki, które posłużą do zbudowania transmisji. Akcja Rowerowe radio. W trakcie transmisji dźwiękowej, na wyświetlaczu radia pojawi się komunikat tekstowy z linkiem na bloga, na którym będzie omówione nadawane dźwięki ( wibracje po eksplozji bomby skąd pochodzą, ile ludzi zginęło od tych bomb( za pomocą nadajnika RDS) 2. Radioodbiornik. (rzeźba) Stacjonarnie, specjalnie zmodyfikowany odbiornik radiowy, po włączeniu odtwarza wszystkie częstotliwości jednocześnie. Obudowa odbiornika radiowego zewnętrznie nawiązuje kształtem do bomb home made.